Emergencies happen. They are never expected, always inconvenient, and sometimes rather dangerous. What you do in an emergency can greatly vary and everyone handles them differently, however we can all agree that you want to handle them as quickly as possible. For some people, everything is an emergency. At times, as a landlord, you will need to explain that certain things can wait until the morning to be handled. However, you also know that some situations will drag you out of bed at three in the morning because they need to be fixed. As such, there should always be procedures which can be put into place in such an event. A perfect example is this: the apartment complex I currently live in has a policy that 48 hours' notice needs to be given in order for them to turn off the water for a plumbing job to be completed. This makes sense because there are sixteen units in a single building and only one water cutoff switch which affects everyone. However, my upstairs neighbor currently has a busted pipe behind the wall and, due to the fact that it is a weekend, must wait until Monday to submit his 48 hours' notice. This means that it will not be looked at until at least Wednesday and it is currently Saturday. That is a full four days with water flowing behind a wall with no possible fix. This is not only annoying due to the sound of water running consistently, but dangerous as the water could cause damage to the walls. I give you this example to illustrate that while set procedures are a good idea in an apartment complex, they can sometimes harm not only those who live in your buildings, but the buildings themselves. Emergencies must be accounted for when you have things like pipes and wiring that can go wrong. Having one set of rules with no allotment for urgent matters can only harm you in the long run. This is one of the reasons that Talley is someone you can rely on. We help you to offer 24/7 emergency care for things like broken pipes. You won't need to worry about having water seeping into your walls for four days with us around. Give us a call and see how else we can help you today! Having a healthy, strong, and sturdy relationship with your tenant is one of the most important things you can do as a landlord. Although you may not end up bosom buddies with whoever you are renting to, you certainly want to be at least friendly with them. While we don't always get along with everyone we meet, there are certain ways to be a landlord with a good relationship regardless of what you may think of your tenant on a personal level. One of the biggest things that you can do to cultivate a good relationship is uphold your end of the lease. If it is written that you are to take care of the repairs in a timely manner, then do so. If your tenant states that something is wrong and they would like it fixed, then do what you can to make that happen. If you are supposed to come around in person every month to collect the rent, stick to that as much as possible. Always do what is expected of you as per your original agreement and that is a wonderful place to start. Another thing that is extremely important in having a solid relationship with your tenant is to go the extra mile. Now this doesn't mean you need to come around to their apartment and cook them dinner every Friday, but a message every now and then simply checking in can do a great deal to help your relationship. Ask if everything is going okay. Check if there is anything you can do or help with in regard to the apartment. If they respond that there is, then help them. 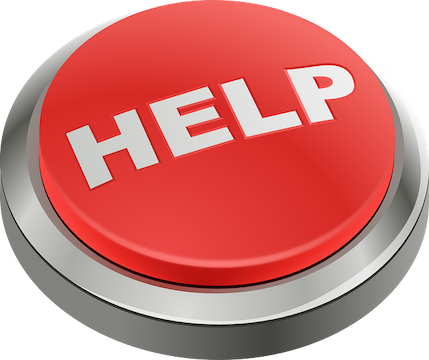 One of the worst things you can do as a landlord is ask if they need help and then tell them to do it themselves. Speaking of the professional relationship, this is one of the biggest things. You should always keep the relationship between yourself and your tenant professional. You could be renting to your best friend, but business is business. It is much easier to let one's friends get away with things than people you don't have a personal connection to. When it comes to property management, there really should be a separation. The relationship between you and your client is extremely important, so you want to do everything you can to strengthen it, even if that means treating it the same as any other work relationship. The lease is the most important part of most rental agreements. This means that there is quite a bit of pressure on getting the lease just right. It often takes new rental property owners a few times to get everything just the way they want it, and many feel the need to update it and add new clauses often. 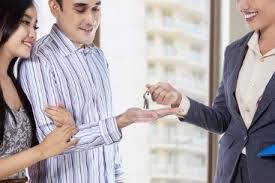 Every landlord has a different style when it comes to crafting their lease, and every tenant has a different style of lease that they prefer. Making sure that you create a solid lease is something that needs to have quite a bit of time put into it and can be an exhausting process. However, finally getting what you want out of the lease is well worth the trouble that you need to put into it. Naturally, most people will go to a lawyer in order to help them draw up a fully articulated lease. This helps to ensure that everything important gets included and the correct wording is used so as to close any loopholes a tenant may find. This is a rare occurrence, but it has certainly been known to happen. It is always better to be safe than sorry in situations that include your income. The best advice that we can give in regards to drafting a lease is to make a list of things you want to include. These can be things like how much the rent is, what day of the month it is due, what the pet policy is, what amenities are included in the rent, and anything else that you may find to be useful. It never hurts to ask around to see what others have included in their leases, and some may even offer you a copy for you to base your own off of. If any of these ideas are not something you find to be useful or if you don't have the time to do this yourself, Talley has your back. We do offer lease preparation as a service which you can receive from us along with many others. Simply take a look at our webpage to see what else we may offer. We are certain that you can find at least one thing that you will benefit from and we are more than happy to help. 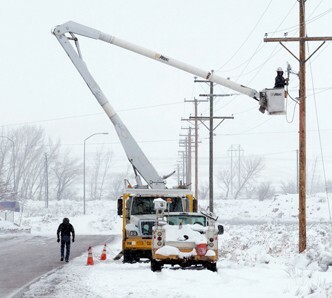 If you are in an area that gets heavy snow or ice, you likely will have to deal with power outages during the winter. I can remember one year while I was growing up that we were out of school for a full week due to the power being out and the roads being too treacherous for any repair trucks to get through. Trust me when I tell you we played a lot of Scrabble that year. Although most companies are better about restoring power now, there are still times that these outages occur and cannot be fixed for an extended period of time. During the winter this isn't something that's just inconvenient; it can be deadly. Having your power out for an extended period of time is always a headache. This is especially true if you have kids. However, if your power goes out during the winter and you don't have a fireplace things can get dangerous. This is why it's important to make sure that you have a lot of layers that you can put on and extra blankets that you can bundle up under. Never try to go out to your car for long periods of time to warm up and certainly never run your oven for heat, especially if it runs off of gas. If you know that you have a high likelihood of losing power, see about investing in a generator. Although they may be expensive, the peace of mind is more than worth it. This is especially true if you have someone vulnerable in your house with you, such as an elderly person or a newborn. Even if you can handle the cold, someone else living with you may not be able to. Be sure that everyone's needs are attended to in this type of situation. It is also a good idea to keep a few portable chargers available for your cell phones so that you can report the outage and call for help if you need it. Obviously only use your phone if you need to in order to conserve battery and make sure that someone can get to you if needed. Check in on family that may be vulnerable if possible and hopefully the lights (and heat) will come back on quickly. This is the time of the year that most people travel home if they have not stayed local. People flock in droves to the highways, bus stops, train stations, and airports to get to see those they love during this time of the year. Unfortunately, this means that millions of apartments and homes are left vacant for extended periods of time during a season where criminal activity is at an all-time high. There are a few things that you can do to make sure that your home is kept safe during your long holiday travels and we hope that these help to ensure that safety. First, make sure that everything is locked up as tightly as possible. Leaving your door unlocked may seem silly, but you cannot forget things like windows even if they are on the second floor. While most criminals don't carry their own ladders around, some can find items that may allow them access to areas that you may not have thought accessible. Even if there is a screen down and the window is locked, you never know if your routine has been monitored to see if you have a habit of leaving anything unlocked. Don't leave this to chance. It is always a good idea to keep any curtains or blinds closed as well while you are gone. If someone could look into your apartment and see if you are home or not, they can also see if you have something they would want to take. Having a light on a timer switch is always a good idea as well, since it gives the appearance from the outside that someone is home even if you are thousands of miles away. We also suggest that if at all possible, you have a neighbor look after your place while you are gone. Even just a glance out the window every morning may be enough to alert someone to anything suspicious. There's no need to keep binoculars trained on your door, but a cautious eye can go quite a long way. Having someone keep an eye out for your house and belongings while you're gone can help you to sleep better while you are out of the area. You never know when someone may be planning to force their way into your home while you're gone. If you have ever lived in an older home in the winter, you probably remember having to leave your cabinet doors open on particularly cold nights to make sure that the pipes didn't freeze and burst. While the likelihood of this happening in apartment complexes and similar buildings is small, it is still possible. This is especially true of any pipes that run either under the building or along the outside walls. Obviously if you rent out older houses, this is something that you may want to alert your residents to as well in case they have never experienced this before. 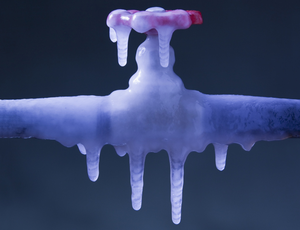 Pipes, even those with hot water going through them, can freeze during the winter. I can remember one winter I was living with my grandfather and part of one of the pipes that ran to the sewer froze. I swear I still have nightmares about that smell. One of the main concerns, however, isn't sewer pipes but pipes with no easy shut off. If these pipes freeze they can leak or even burst and still have water running through them. Having been hit in the face by water coming out of a burst pipe, I can tell you that is not a fun thing to experience. Thankfully it was warm inside when it happened to me, but it still was pretty miserable. You want to do all you can to make sure that this doesn't happen to you. Having pipes burst is also an expensive repair. It always seems to happen at the worst possible time as well, so the plumber can change even more than their usual rates. If you have seen a standard plumbing bill you know how bad it normally is and you certainly never want it to be higher than it needs to be. Keeping your heat on and cabinets open for free air flow is one of the best ways to help keep your pipes from freezing. You can also place space heaters in front of pipes that you are especially concerned about. Just be sure that you take the proper fire precautions if you are going to leave one overnight. You certainly don't want to over correct the issue and end up with a different one! Unfortunately, no amount of screening will prevent every issue you may find with residents. Sometimes the people that we allow to move in are just horrible humans and they cause nothing but problems. While we don't really like to talk about them or speak ill of others, there are times where it is unavoidable. While those of us here at Talley hope that you never have to deal with one of these people, the balance of probability is that you most likely will. So what can you do when these people find their way into your rental property? 1. Issue A Warning. It may be a cliché, but you really do need to get everything in writing. 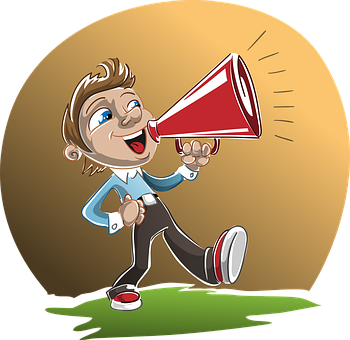 If you have a resident who is causing some kind of issue, the first thing you should do is write either a letter or text or email and ask them to stop the problematic behavior. This may seem excessive, and you may simply want to talk to them about it the first couple of times, but if the problem persists, make sure that you have proof that you have sent them a written notice regarding the issue. 2. Restrict Benefits. As a rental property owner, you may be able to restrict the benefits that your resident can access. If your property has a pool or fitness center, you may be able to prevent them from using these amenities until the problem stops. Some apartment complexes will revoke parking privileges until the issue is resolved. It all depends upon what you are willing and able to do. 3. Evict. While this is naturally a last case scenario result, it is something that does happen occasionally. Eviction is costly and stressful for everyone involved but at times there may not be another option open to you. It is an extreme resolution, but depending upon the issue that the resident is causing, you may not have another choice. No one wants to think about getting a problematic resident, but it does happen to just about everyone. You want to know what your options are and what is available to you. While here at Talley we want everyone to be able to get what they need out of a rental agreement, there are some times where things just cannot be reconciled. Hopefully this won't happen to you anytime soon. If you are an owner and landlord to an apartment complex, you have a lot that you worry about. You worry about people paying rent on time, about people sticking to a pet policy or a visitor policy or maybe even a noise ordinance that you have in place for the complex. You also likely worry about the safety of the complex itself. This is arguably the most important thing to worry about. You need to make sure that the building stays safe. You need to make sure it's up to code, that the wiring is fine, that the sidewalks are even, and any stair railings are securely fastened. If your complex has a pool, you need to worry about those who may be swimming, about hiring a lifeguard if your township requires it, about keeping the water clean, and about dealing with any "accidents" kids may have quickly. It can get exhausting and if you focus on worrying about all of this, it can drive you slowly insane. Unfortunately, the list never seems to get smaller but really that's a good place to start. Make a list of things you need to keep an eye on. Start with the obvious things, like the sidewalks, railings, parking lots, etc. As you think of things, add them in. How are the lights around the complex? Do you have a laundry room, and if so is it clean, bright, and safe? Do you have a plan for winter with the snow and ice? Continue like this until you cannot think of any more. If you have a board for your complex, maybe create a Google Doc so others can add their concerns as well. If you aren't living in the complex, it may be difficult for you to notice the little things that the residents do like a dead tree or a beehive that has started to develop in a back corner. You never know what may pop up, but having a couple of people who are observant help you can go a long way. If you have a complex, you already have enough to worry about. Times like these are when Talley can help you the most. 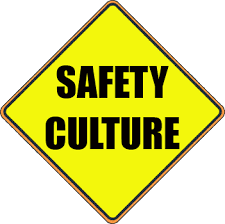 We take care of maintenance calls and many safety concerns. Focus on what you need to and leave the rest to us.